Last fall, the nation's largest banks and mortgage lenders, including JPMorgan Chase, Wells Fargo, Bank of America and an arm of Goldman Sachs, suspended foreclosures while they investigated how corners were cut to keep pace with the crush of foreclosure paperwork. Critics say the new findings point to a systemic problem with the paperwork involved in home mortgages and titles. And they say it shows that banks and mortgage processors haven't acted aggressively enough to put an end to widespread document fraud in the mortgage industry. Most of the tainted mortgage documents in question last fall were related to homes in foreclosure. But much of the suspect paperwork that has been filed since then is for refinancing or for new purchases by people who are in good standing in the eyes of the bank. 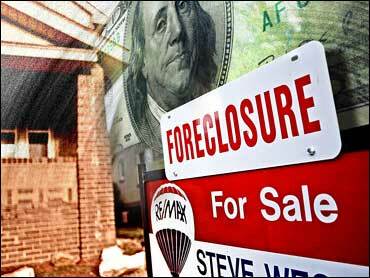 In addition, foreclosures are down 30 percent this year from last. Home sales have also fallen. So the new suspect documents come at a time when much less paperwork is streaming through the nation's mortgage machinery. None of the almost 1,300 suspect Linda Green-signed documents from O'Brien's office, for example, involve foreclosures. And Jeff Thigpen, the register of deeds in North Carolina's Guilford County, says fewer than 40 of the 456 suspect documents filed to his office since October involved foreclosures. In Michigan, the attorney general took the rare step in June of filing criminal subpoenas to out-of-state mortgage processing companies after 23 county registers of deeds filed a criminal complaint with his office over robo-signed documents they say they have received. New York Attorney General Eric Schneiderman's office has said it is conducting a banking probe that could lead to criminal charges against financial executives. The attorneys general of Delaware, California and Illinois are conducting their own probes. "The banks have completely screwed up property records," says L. Randall Wray, an economics professor and senior scholar at the University of Missouri-Kansas City. "She signed the documents on behalf of the bank," spokesman Richard Simon says. The bank says providing the affidavit O'Brien asked for would have been costly and time-consuming. Instead, Simon says Bank of America sent a new set of documents "signed by an authorized associate who Mr. O'Brien wasn't challenging." O'Brien says the bank's actions show "consciousness of guilt." Earlier this year, he hired Marie McDonnell, a mortgage fraud investigator and forensic document analyst, to verify his suspicions about Burton's and other names on suspect paperwork.